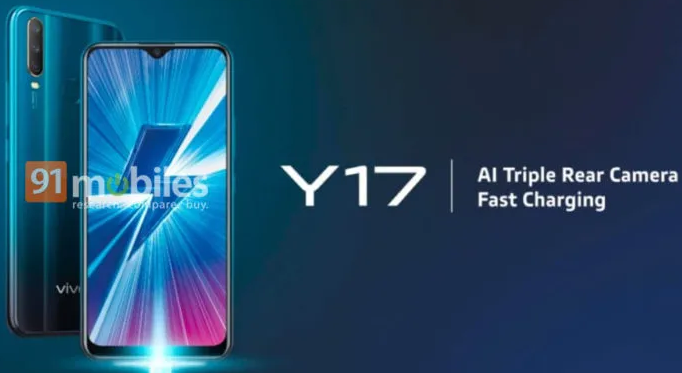 Vivo is expected to expand their Y lineup with the Vivo Y17 that is expected to launch soon in India. The Vivo Y17 will be one of the cheapest smartphones from the company to feature three cameras. So let’s take a look at all the details. First up the image shared gives us a good look at the smartphone. As said, it will come with a triple camera set up at the rear, however, the exact megapixel count is unknown. Another thing the poster suggests is that the device will come with a water-drop or tear-drop notch display which is standard in today’s smartphones. But overall, the phone’s design is pretty good. The Vivo Y17 will be powered by a MediaTek Helio P35 chipset paired with 4GB of RAM and 64GB of expandable storage(expected). It is also expected to pack a massive battery of 5,000mAh and will run Android 9 Pie out of the box. It will sport a 6.35-inch full-HD+display with a water-drop notch. It will also come with some sort of fast charging support. 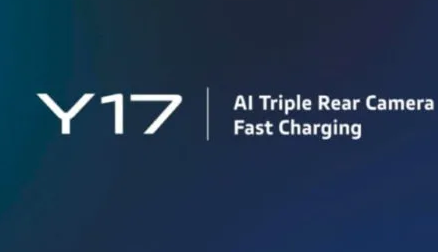 In terms of pricing, the Vivo Y17 is expected to be priced at around Rs. 16,990 for the standard 4GB RAM and 64GB storage variant. That’s what we know so far about the smartphone, but we expect to see more leaks and rumours in the coming weeks as this is the first leak of the phone. Stay Tuned for more updates on Vivo Y17 and also Subscribe to Our YouTube Channel Gadget Gig For Latest News, Reviews, Unboxing and Tips/Tricks.